this is a portable Q-switched nd:yag laser tattoo removal system.tattoo removal machine yag laser ,you should not underestimate this model,It has a little weight and volume,but it really a capable and vigorous guy,It can works for more than 8 hours and not need a rest in the hot summer,In the past 6 years,this model of yag laser tattoo removal system had sold more than 20,000 sets all over the world,just this report should give us more imagine,so,please do not in halting,hurry up purchasing now ! a. large handle-head support the main machine , it is different from the other yag laser tattoo removal system we usually saw from the Chinese market. NET WEIGHT 42 1bs. 72 1bs TOTAL WEIGHT WITH PACKING. It is forbidden to check and clean the lens when the maching is running! In general, pay attention to check the level of cooling water in the observation window; if the level of cooling water is lower than the water line (when stopped), please fill water through the hole of water tank plug with hole using injectors up to the position of water line. [CAUTION]The cooling water must be distilled water! Preparation distilled water used in hospital, or Quchenshi Brand Distilled water and Huoteman Brand Distilled water, available in the market, are commended to use. 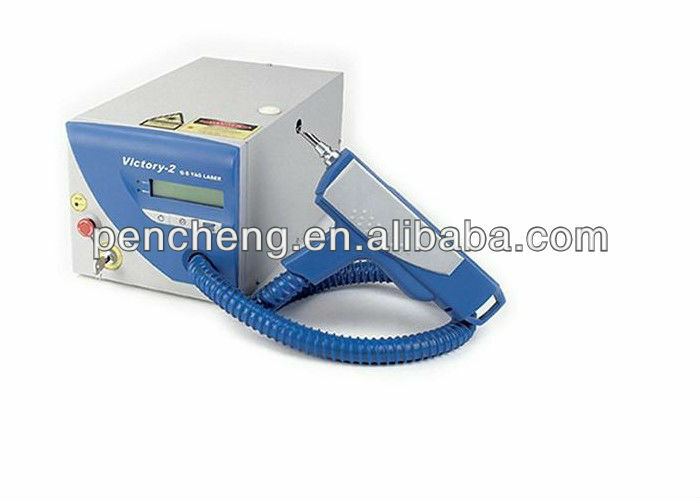 Contact us if you need more details on Laser Tattoo Pigmentation Removal Machine. We are ready to answer your questions on packaging, logistics, certification or any other aspects about Laser Tattoo Pigmentation Removal Machine、Laser Tattoo Pigmentation Removal Machine. If these products fail to match your need, please contact us and we would like to provide relevant information.